Artist Esther Solondz talks about her 2017 sculpture in Audubon Zoo. 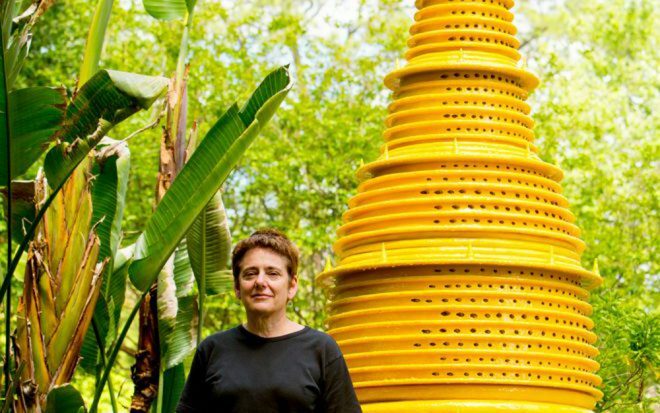 A Studio in the Woods and the Audubon Zoo host a reception to celebrate Esther Solondz’s Bee Palace, 2017. The sculpture, which was created during a residency with A Studio in the Woods last year, serves as a place for bees to rest and reproduce. At the event, Solondz answers questions about her project. To learn more about the Bee Palace, read Brooke Sauvage’s article on the Art Review. This event is free and open to the public. Enter the zoo at the education gates, to the right of the main entrance. For more information, visit Eventbrite.